It’s game day, y’all! Who is watching the game today? I’ve been looking forward to the game all week. (Yeah, you read that right. I’ve been looking forward to the game.) 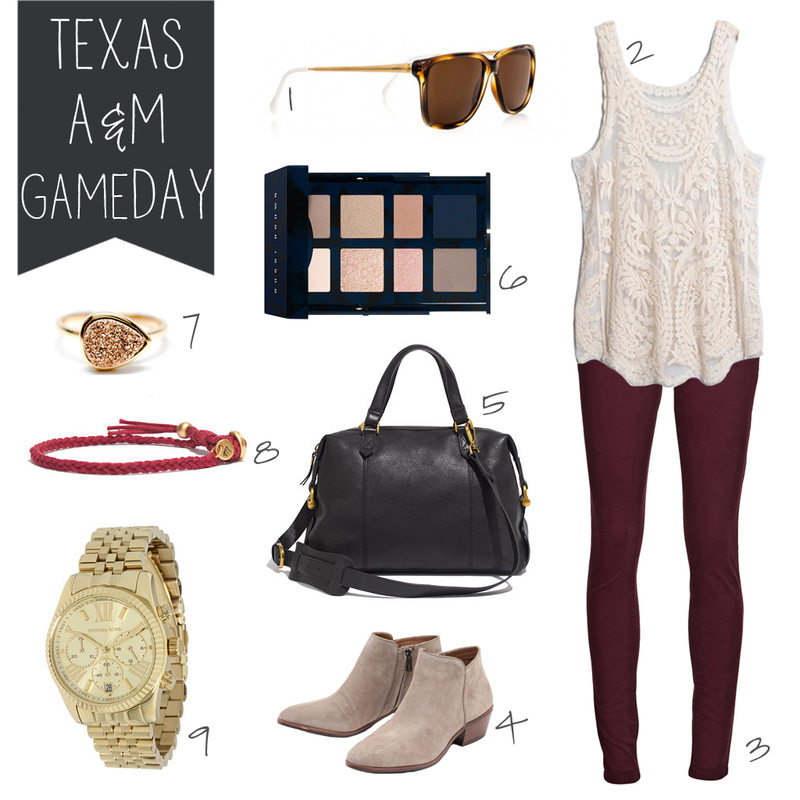 I cant wait to watch the Aggies play today and in my excitement put together a little something from my imaginary closet. Here’e my game day look for the ladies that want to watch the game without compromising on style. Gig’em.